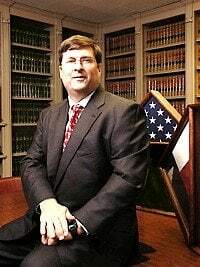 Mr. Goss, the founder of the Law Office of Robert G. Goss, P.C., is a graduate of two of our nations' premier graduate law programs: The University of Houston Law Center's Health Law LL.M. 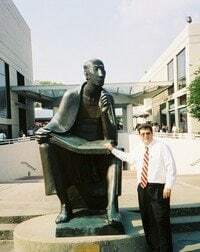 program and The University of Houston Law Center's Intellectual Property & Information Law LL.M. The University's Health Law program is consistently ranked among the nation's "Top 10" by U.S. News & World Report. The Intellectual Property & Information Program is recognized as one of the top programs in the United States. Due to the demanding nature of advanced law degree programs, only 10% of lawyers are ever accepted into an LL.M. program and graduate with an LL.M. degree. Mr. Goss has earned two Masters of Law (LL.M.) degrees, one in Health Law, and one in Intellectual Property & Information Law. In addition to leadership in health, intellectual property, and information law, Mr. Goss has administrative and criminal law experience through his work as an law-school intern with the Alabama Attorney Generals Office Honors Program, assigned to the Department of Corrections Legal Office. Prior to law school, Mr. Goss was an active-duty United States Air Force (USAF) Officer and Pilot for almost 21 years. In his last USAF assignment, Bob worked for five years for the Headquarters of the United States Air Force Doctrine Center, where he supervised writing of the USAF leadership and command doctrine, and led other high-level programs. Mr. Goss was selected by the USAF as being in the top 15% of all USAF officers for his outstanding professionalism, achievements, and leadership. He served for three years at the premiere Air Command and Staff College culminating as an operations officer. Bob's other USAF employment history includes assignments as senior instructor aircraft commander, combat planner, combat mission director, and chief of numerous divisions and flights at the squadron, Group, Wing, and Headquarters United States Air Force level. Mr. Goss is a graduate of Texas A&M University, with Bachelor of Science degree and Master of Science degrees in aerospace engineering. Bob received his law degree (J.D.) from the Cumberland School of Law of Samford University, AL and graduated from the University of Houston Law Center with two Master of Law degrees (LL.M.). Bob was the 2013-2014 Chair of the State Bar of Texas Military and Veterans Law Section. Mr. Goss also holds numerous military decorations and professional licenses. Vice-President Military Justice Society; Phi Alpha Delta.